Dance what you feel & feel what you dance! Our team of dance instructors would like to extend you a warm welcome to our website. Do you feel like learning to dance? Our young, motivated and especially experienced team is pleased to seduce you into the world of Latin-American dances. Our focus is always on dancing with emotion through the music. "Dance what you feel & feel what you dance"
Our Salsa dance school is located very centrally on the Aeschenvorstadt 67, 6th floor, in Basel directly at the Aeschenplatz. You can reach us with the tram lines no. Nr. 3, 8, 10, 11, 14, 15, E11 or the with the bus 37, 80, 81. Parking spaces are limited in the surrounding area. If you come with your car, we either suggest you the Aeschen-Parking on the Aeschengraben 9 or the Parkhaus Anfos on the Henric Petri-Strasse 21. From May, the world-famous salsa stars José & Nerea from the Euphoria Dance Company will visit us once a month. If you want to improve in the Salsa On2 / NY style, then please register for their workshops! A single course lasts 8 weeks for 60 minutes. During that time, we will work on your body language and leadership ability without forgetting the fun factor. Would you like to work specifically on your technique, your style and movements in a one on one lesson? Upon request, our team provides flexible private lessons which will enhance you in a specific and individual way. Private lessons are a perfect supplement to a course. Ladystyle, Pasitos, Turn technique and much more..
You need more than just a regular course? You would like to improve your Ladystyle or turn technique? Then get back to us.  Salsaflow Dance Company offers special workshops every second and last Friday of the month. Do you have a party or a business event and you are looking for an entertaining program? Well, then you are at the right place! Our team provides shows, crash courses, and animations to make your event more vivid. Fun and happiness are thereby given first priority. At Salsaflow Dance Company the new courses will start as of May 06. Also in this season, there is something for everyone. Let’s immerse together in the world of Salsa. We are looking forward to your applications and await you on Monday, Tuesday, Wednesday, Thursday and Friday! Lateral entries are always possible! Are you on vacation or absent and cannot to be present right at the beginning of the course? No problem! You can join us anytime and get on for a reduced price.